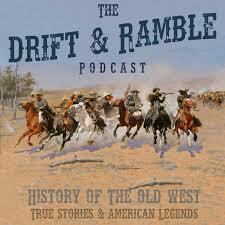 Steve Blizin, host and producer of the Drift and Ramble Podcast is my guest this week! An independent podcast with astonishingly high production values, Steve and his wife Cheryl, bring the tales of the Old West to life every other Sunday! We are talking a heavily researched, professionally narrated, voice acted and musically backed story telling production here! It's a fairly new show and a complete passion project of the Blizin's that I truly believe is heading for a very bright future! We talk about how this all came together! Subscribe to Drift and Ramble now!